New Language Test for Canadian Citizenship Applicants - Gateway to Canada | Canada Immigration Consultancy! 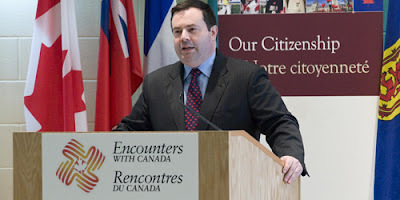 Citizenship, Immigration and Multiculturalism Minister Jason Kenney is proposing changes to to improve citizenship program. If approved, it would change the way that citizenship applicants aged 18-54 prove their language ability. The proposed changes aim to expedite the process. Under the current system, the language ability of the applicants is assessed by a CIC Staff and it appears an applicants do not meet language requirements, they are invited for an interview with a citizenship judge. There can be a significant time delay between the submission of the application and the subsequent hearing for language. evidence of achieving Canadian Language Benchmarks(CLB)/NCLC 4 in certain government funded language training programs. Read full story here. And here's how to become a Canadian Citizen.